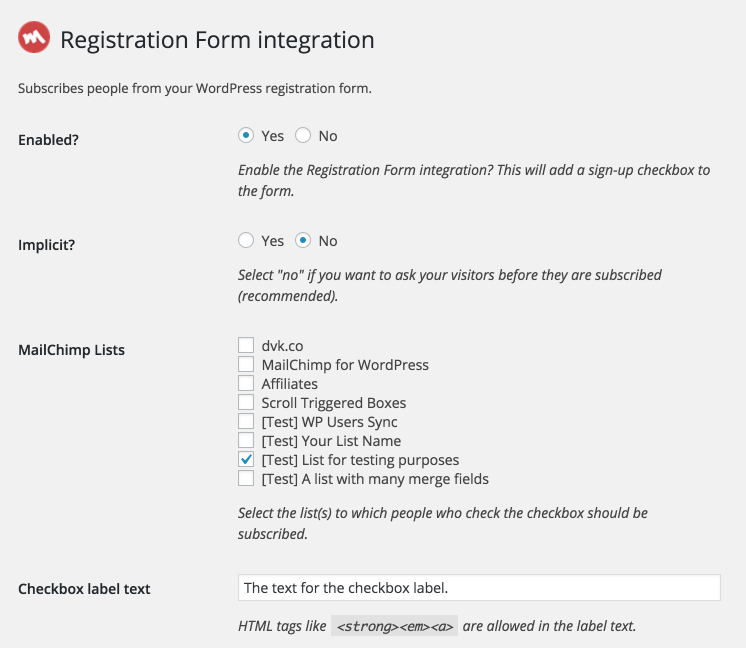 The sign-up checkbox currently integrates automatically with the following list of plugins. Integrating with any of the plugins listed above is relatively easy. 1. 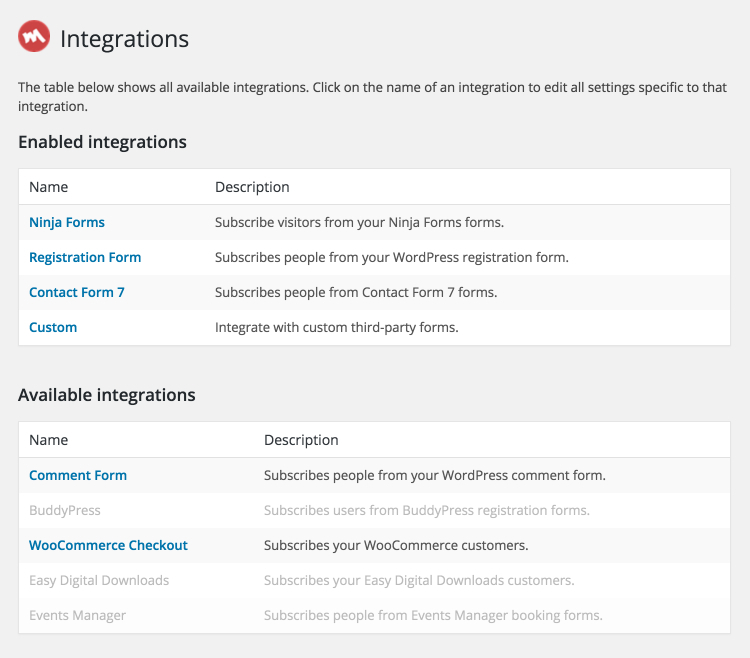 Go to MailChimp for WP > Integrations. 2. Click on the name of the plugin you want to integrate with. 3. Make sure the integration is set to “enabled” and select the MailChimp lists you want to subscribe people to. That’s all there is to it! The plugin will automatically find the “NAME” and “EMAIL” field and send it to MailChimp. PS. Are you trying to integrate with a custom form?